Once solid foods are introduced into the babies’ diets, their bodies begin to undergo a few transformations. Parents or caregivers begin giving solid foods only after the little ones turn six months old. And, it takes some time for the babies’ digestive systems to get accustomed to the new foods. So, if the babies’ bowels become dry or hard, and it hurts while they poop, then they might be suffering from constipation. Ripe bananas are often suggested by people to provide relief during constipation. However, if the bananas aren’t perfectly ripe, they might end up causing constipation instead. 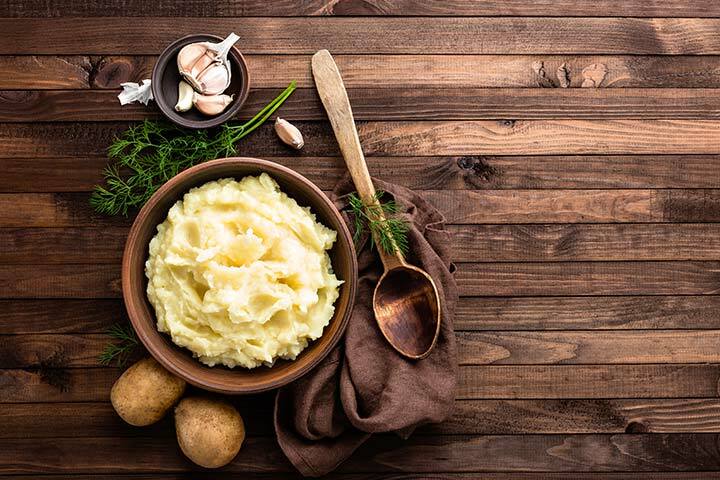 The infants may find it especially difficult to digest starch since their bodies might not produce adequate enzymes for the same. And, unfortunately, starch is one of the main ingredients of unripe bananas. Also, bananas are made of this component called pectin, which might result in the formation of hard stools. 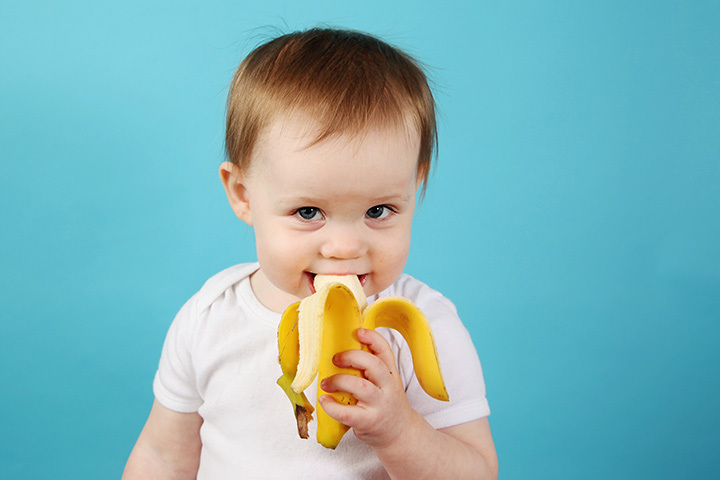 So, even if your baby is munching on ripe bananas, make sure that he/she doesn’t go overboard. 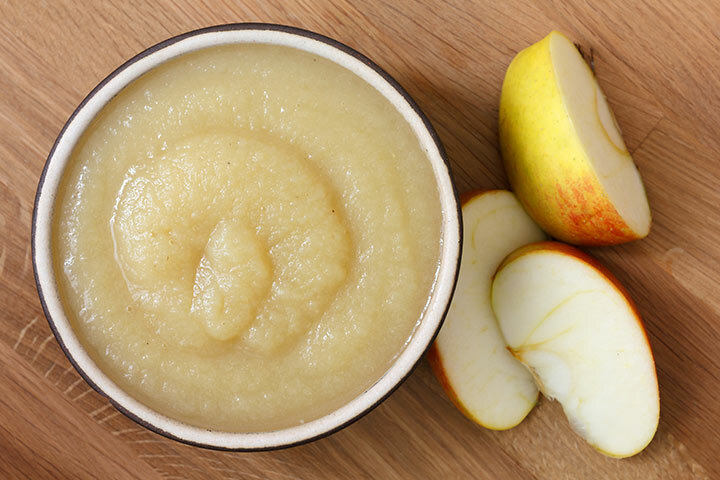 Though convenient and nutritious, applesauce is composed of pectin, much like bananas. On one hand, this might help regulate your little one’s bowel movement, thus, easing constipation. But, on the other hand, if the baby has a lot of applesauce, it can worsen things by making his/her stools firmer. Also remember that if your munchkin already has constipation, keep the applesauce at bay. Yes, rice cereal is usually the first solid food that is fed to the baby. But, as soon as you introduce this to the diet, you will notice a change in your little one’s bowel movement. This is primarily because he/she has been used to the breast milk up until now, which is comparatively much easier to digest. Due to the low-fiber content in rice cereal, it might not be that easy to digest, resulting in discomfort and pain at times. 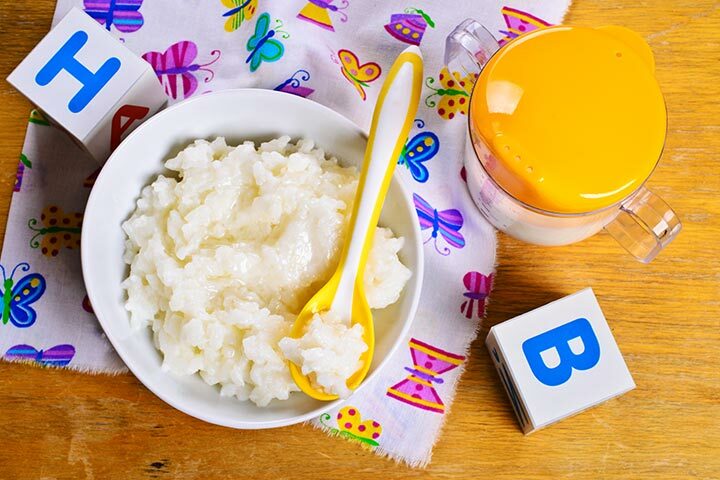 So, if you are planning to introduce rice cereal to the infant’s solid food diet, make sure that it is gradual and in moderation. 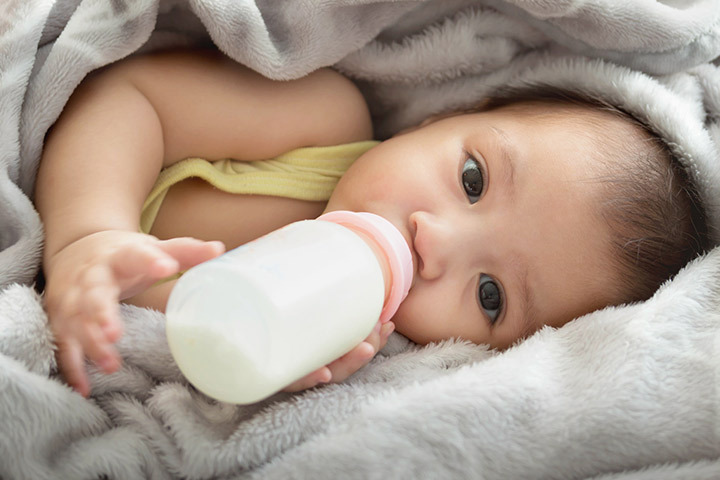 More often than not, cow milk ends up doing more harm than good for babies. The milk has been associated with chronic constipation, perhaps due to the immune response to the protein present in cow’s milk (1). Suppose you notice such a reaction in your munchkin, you may want to steer away from cheese, yogurt, and any other dairy product that can possibly cause constipation in your little one. This veggie is rich in starch, which is a complex carbohydrate. Thus, it either doesn’t break down at all or breaks down partially during the process of digestion. If you want to include potatoes in your baby’s diet, you may want to start with sweet potatoes instead of white ones. They are known to have a comparatively higher fiber content, thus, might help ease your tiny tot’s digestive system. Carrots are essentially rich in fiber but might lose some of its fiber content when cooked or boiled. 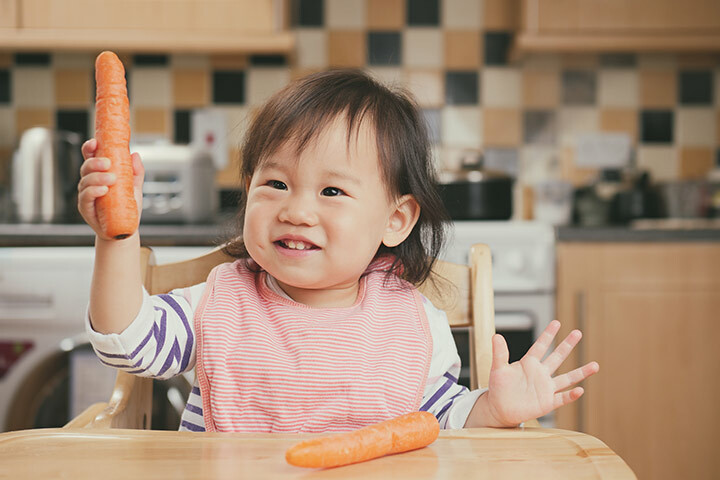 Thus, babies find it tough to digest carrots that are either mashed or boiled. We know that it is not really possible to give your munchkin raw carrots. But, try and avoid cooked or boiled carrots too, as it might cause constipation. It is important to keep giving your little one fluids to regulate the bowel movement as well as the overall health. Also, there are times when the little one tries and avoids pooping altogether due to constipation. If this is the case, please consult your pediatrician immediately. Good luck! What Does It Mean When He Suddenly Starts Sending You One-Word Texts? I’m A Totally Different Person When I’m Coupled Up Than I Am When I’m Single—Is That Weird? Tanning during Pregnancy: Is it safe?